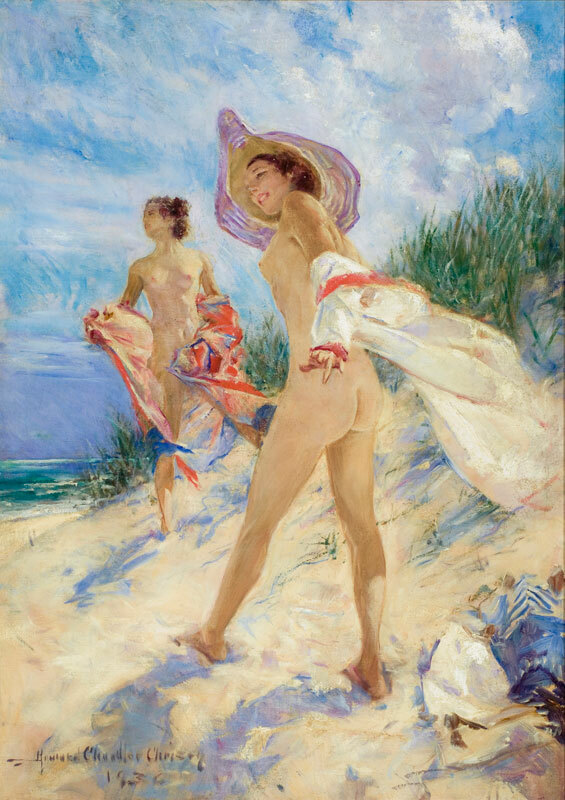 Howard Chandler Christy was 22 years old and living in New York City, when his first 'Christy Girl' image was published in an 1895 issue of The Century Magazine. He moved to New York from Ohio when he was 16 years old to attend The Art Student's League. 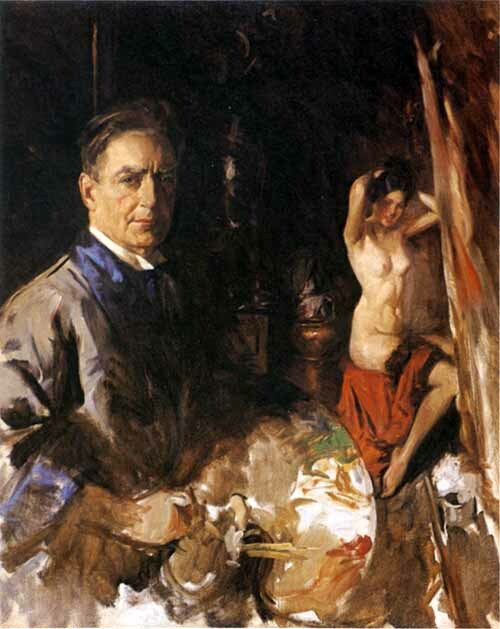 He returned to Ohio for two years when money got tight, but ultimately returned to the city and to his ASL teacher, William Merritt Chase, who helped Christy to develop his 'direct-from-nature' method which quickly became in demand by the publications of the time. Between 1905 and the beginning of World War I, Christy was one of America's most popular artists and taught at New York City's best illustration schools. When the editorial and publishing worlds changed after the war, Christy began painting more portraits including US Presidents and celebrities of the time. 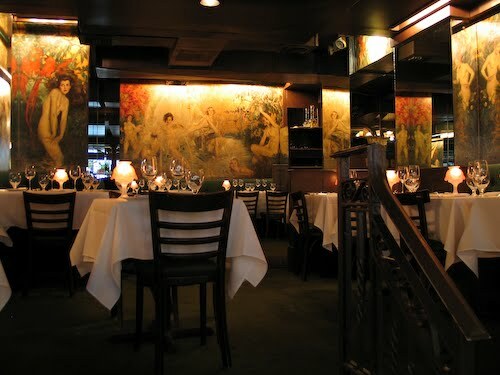 In the 1920's while living in the Hotel des Artistes he painted his famous nudes that remained on display at the Cafe des Artistes restaurant until its closing a few years ago. Said murals contributed to the romantic atmosphere of the restaurant and always served as a lively conversation topic for this blogger while struggling through a first date. That restaurant and those images will always hold a soft spot in my heart and a genuine appreciation for Mr. Christy. Quite a different mural, Scene of the Signing of the Constitution of the United States, hangs in the Ohio State Capitol. 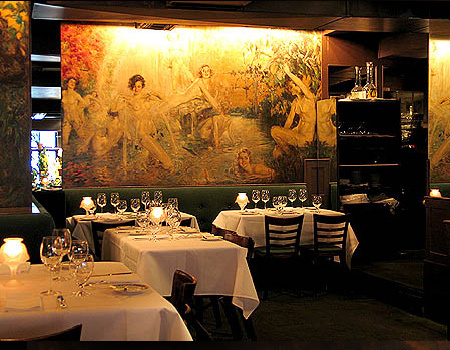 After his death in 1952, Christy was elected to the Society of Illustrators Hall of Fame.